Today we start in medias res just because we can. 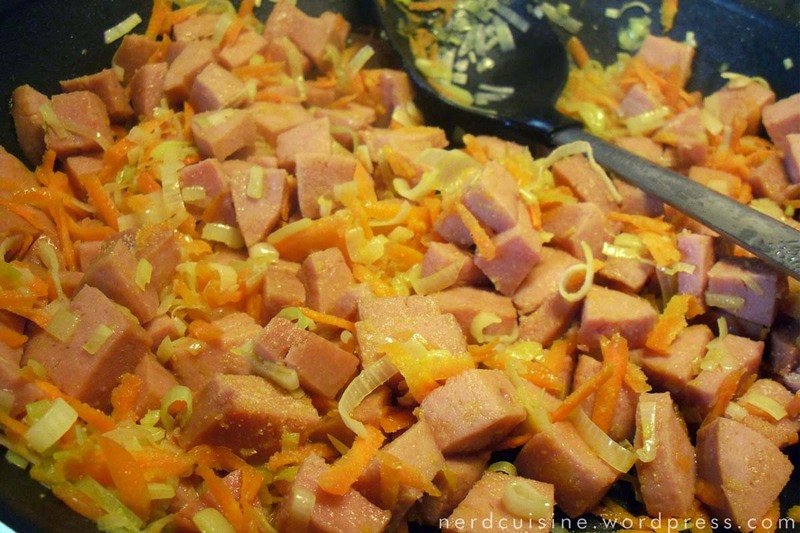 Diced sausage (falukorv) grated carrot and finely shredded leek having a sauté. Transferring to a pot, then adding cooked green lentils. 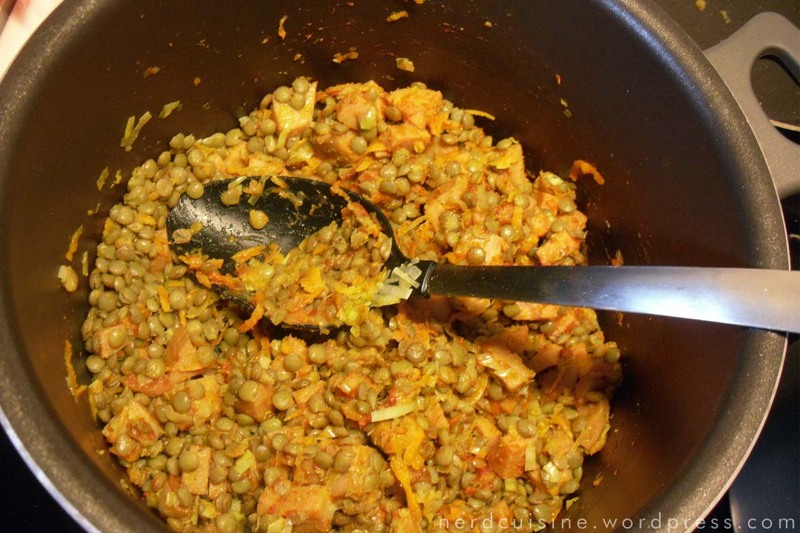 The lentils had soaked for days before cooking because I couldn’t decide what to do with them. Also a good time to add garlic, bay leaf, French herbs and such. Flour, vegetable bouillon cube, tomato paste and milk added. Bring to a boil and wait for as long as you want. I had some for lunch, then left the rest overnight in the fridge and had it for lunch again with fried leftover rice and a small amount of capers. 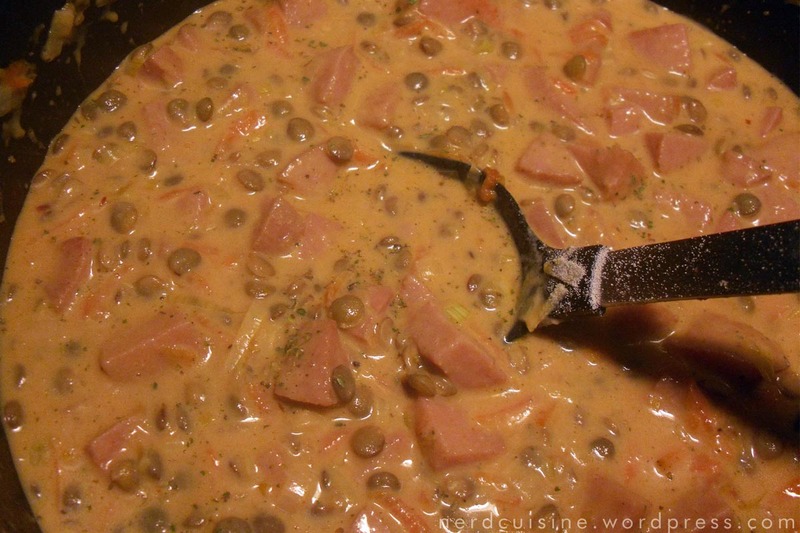 For a vegetarian option, leave out the sausage and add another pulse or perhaps soy sausage. 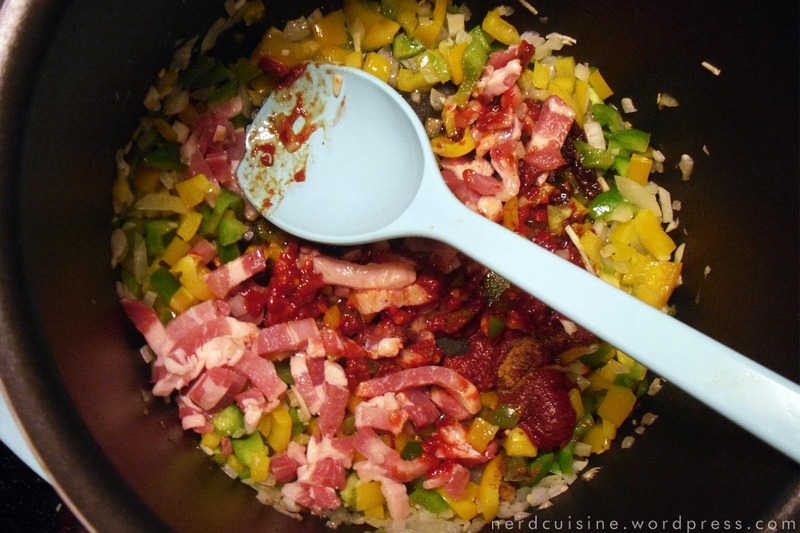 The main ingredients of this little soup. 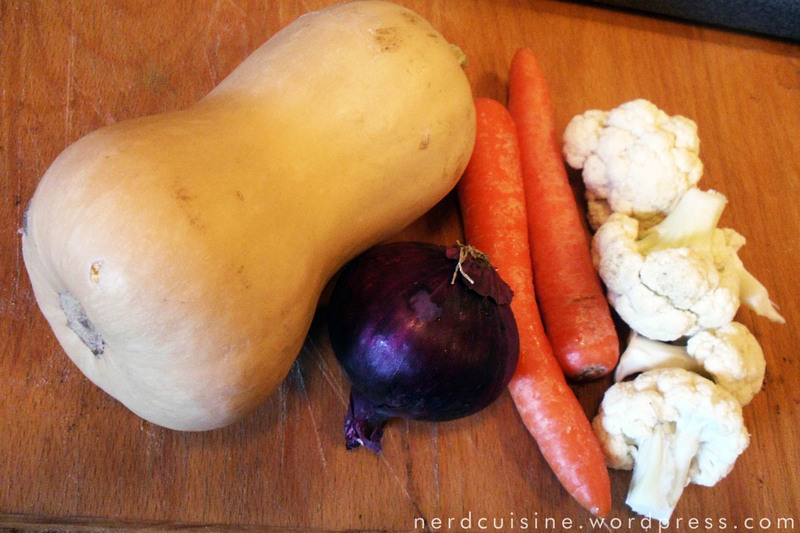 Butternut sqash, red onion, carrots and cauliflower. 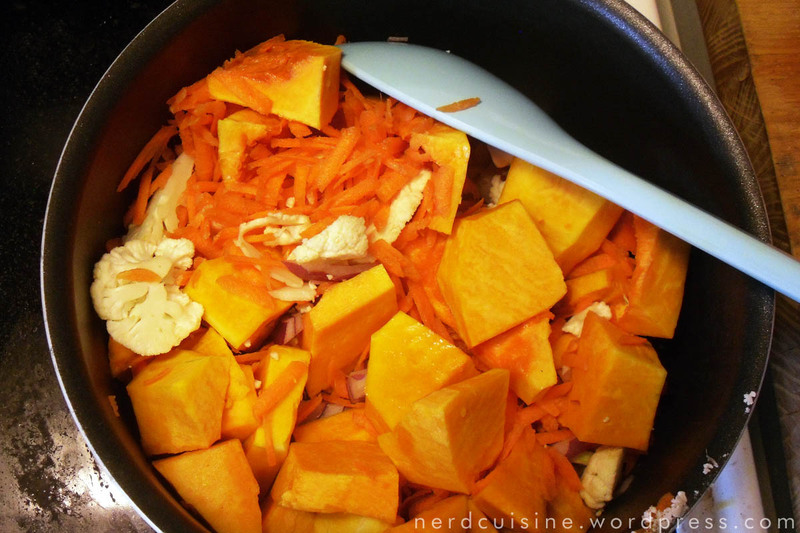 Peel, chop and grate, then let things break a sweat before adding water. 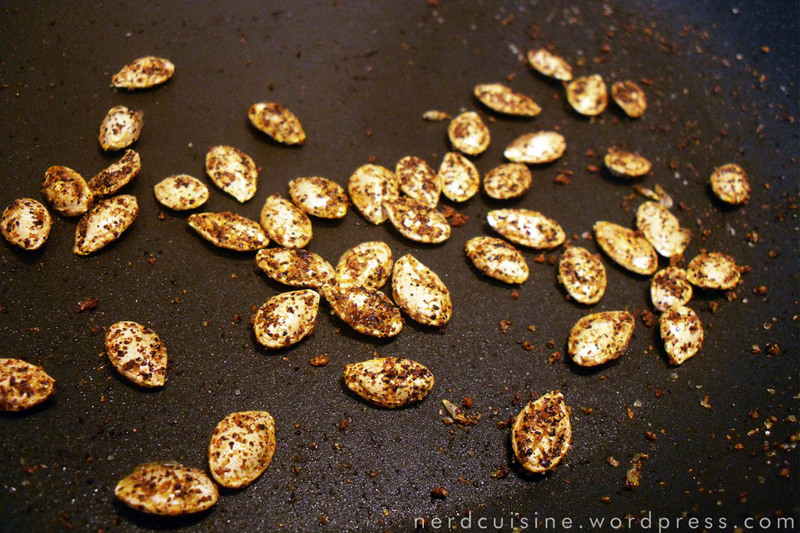 Don’t throw out the squash seeds. 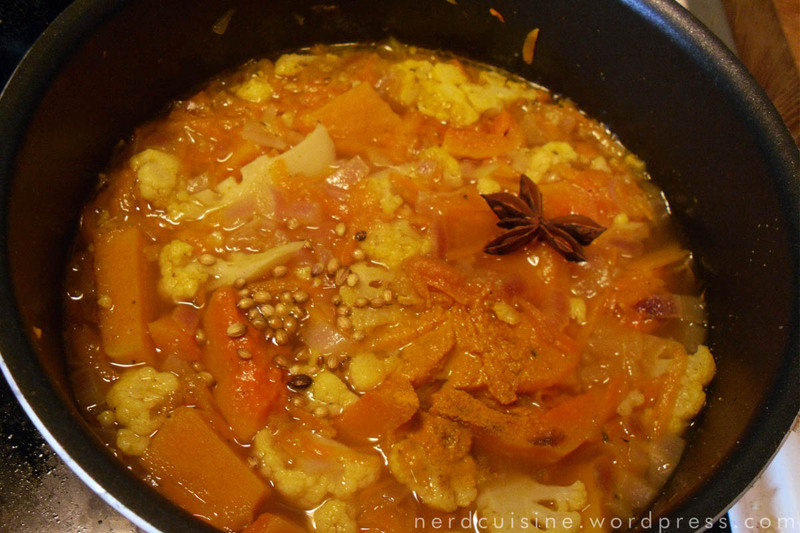 Adding a bit of seasoning – Coriander seeds, garlic, cumin, turmeric, star anise and a dash of Worcestershire sauce. 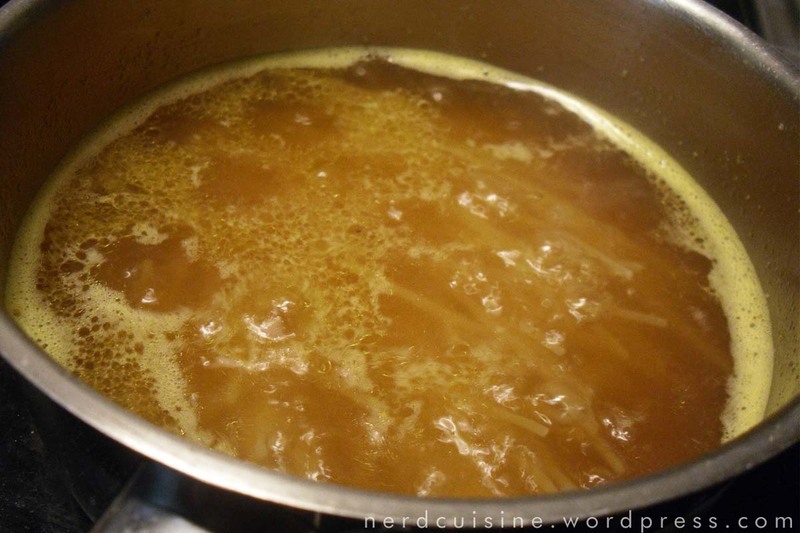 Let it simmer until everything is soft – say half an hour. Giving the seeds a quick toast in a hot pan. 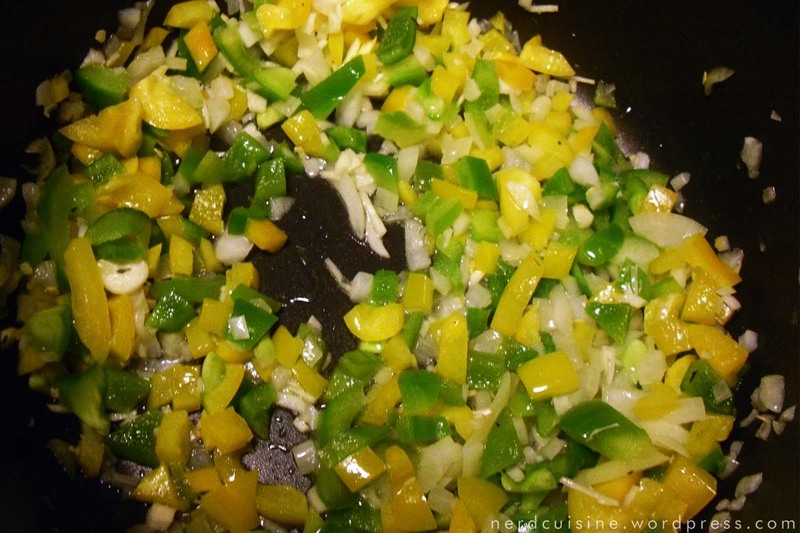 Add a hint of fat and season with for example onion powder and chili powder. With these small seeds, the process takes about ten minutes. 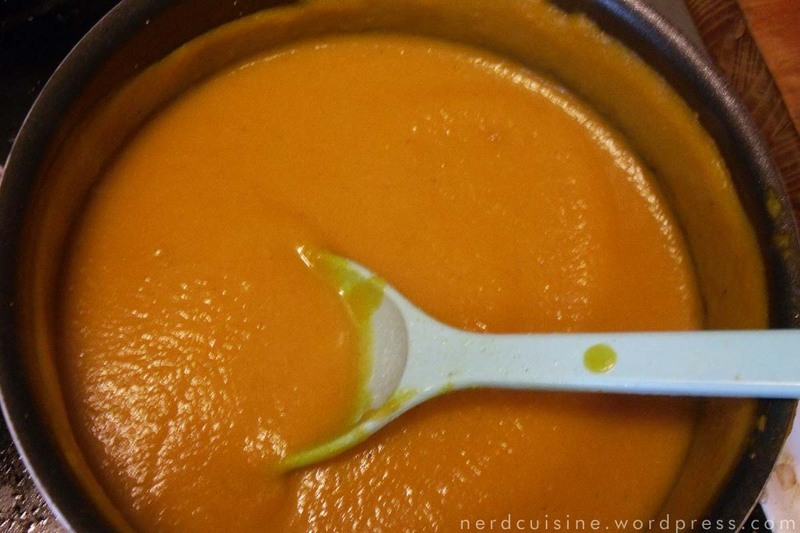 In the meantime we have at the soup with a hand blender (discard the star aniseed first) and adjust seasoning. 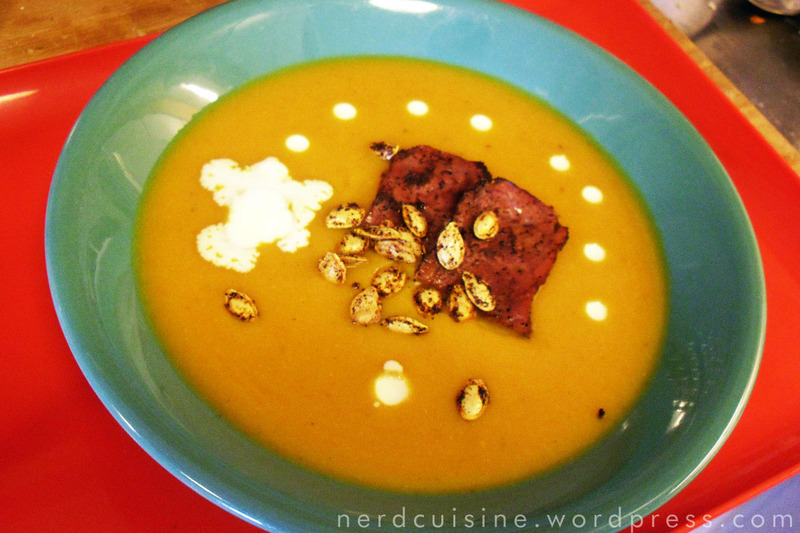 Soup served with sprinkled seeds and some turkey bacon (it was half off. Ordinary bacon or no bacon at all is fine too) Also splashed about with some cream just for fun. A Quick Stop to Meddle with Chili. Since I spent a lot of spring and summer writing blog posts instead of school papers, this semester has had a bit of a rough start. There’s still a lot to do before I can relax, but I felt a need to at least post a little something. Autumn is about to get serious (even took some time this weekend to pick a bit of mushrooms) and one starts to long for big pots of food that has simmered for hours on end and keeps you warm all week. Also the time for economically minded university students like me to start putting boxed lunches in the freezer. I hit the store and started forming a plan when there was good discounts on both bell peppers and minced beef. 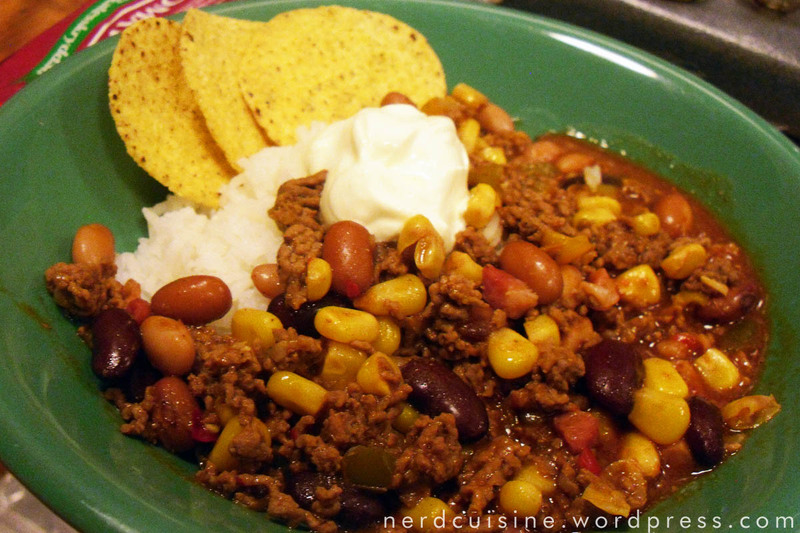 I’d like to apologize to an chili purists out there in advance, as this post might be offensive to you, just like what I did to the other national dish of the United States a while back was potentially offensive. 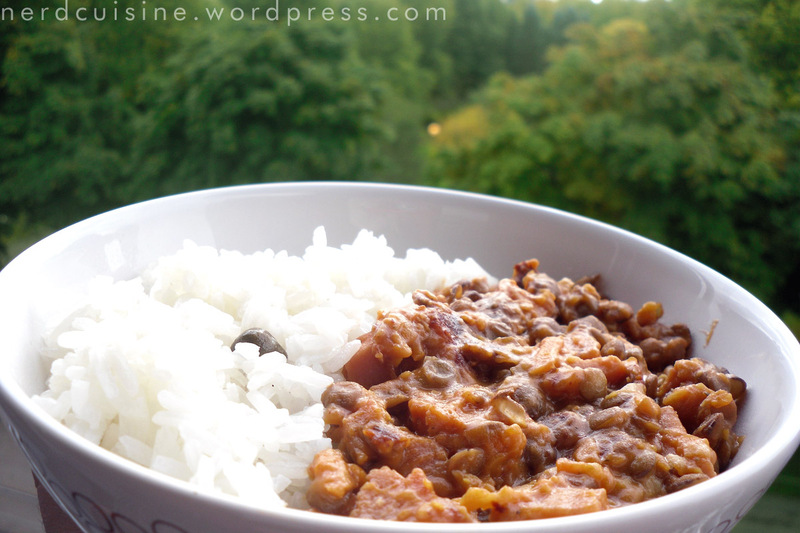 Before cooking the dish for this post I had never laid eyes upon a recipe for chili con carne, nor did I until I had started eating, after which I learned that there are lots of interesting dichotomies and conflicts regarding what constitutes proper chili. But we’ll sort that out along the way. Sweating onions, garlic and bell peppers. Apparently, onions aren’t really allowed (but onion powder is fine) and peppers should at least be red, but preferably hotter than bell. 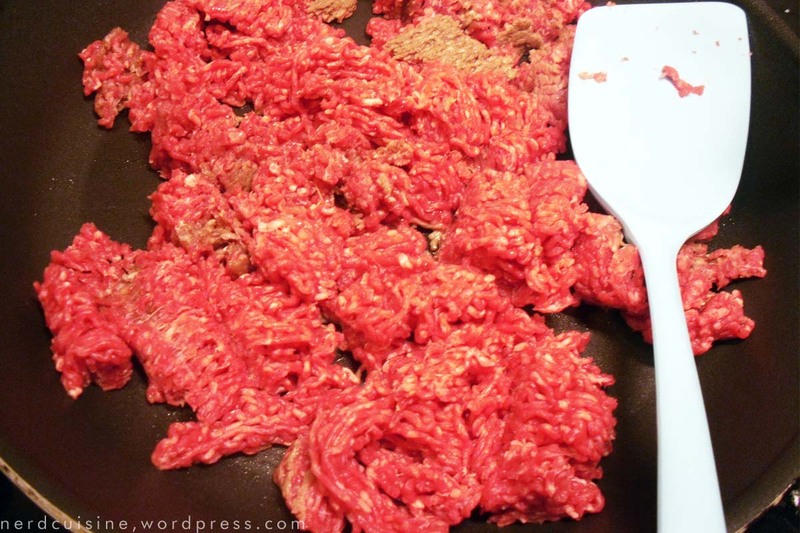 Browning ground beef. 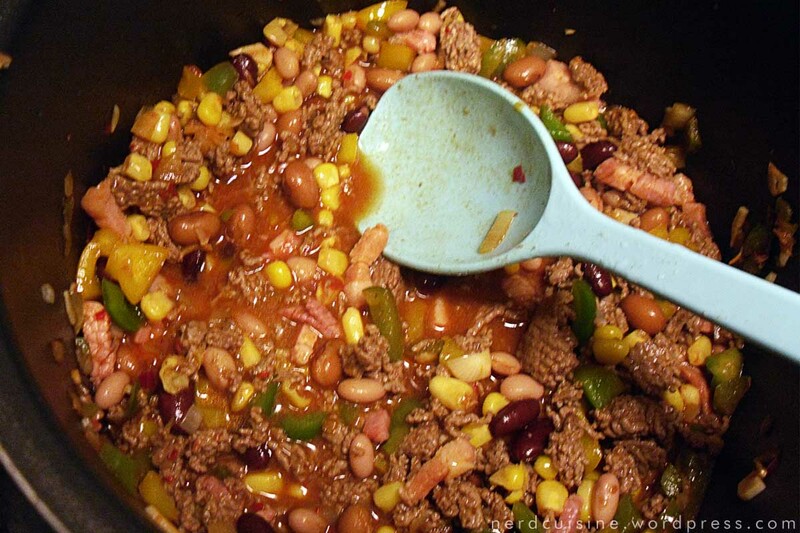 Choosing ground meat over cut seems to be a big faux pas among chili aficionados, according to the internet. Adding bacon (which is technically diced pork, should be safe) and seasonings, including chili powders (ancho and nameless) cumin, powdered onion, cocoa, dried basil, chili paste (which is probably unheard of and not right at all) and tomato paste. Tomato is another matter of debate within the modern chili paradigm. My excuse for using paste is that my fiancée is allergic to tomatoes in most forms, but can endure cooked paste without discomfort. A few minutes later, the minced beef has joined the party along with beef stock, beans and sweet corn. In Sweden, chili con carne is strongly associated with beans, especially kidney beans, but I’m given to understand that Texan law enforcers may fire at will upon those about to put beans in chili. 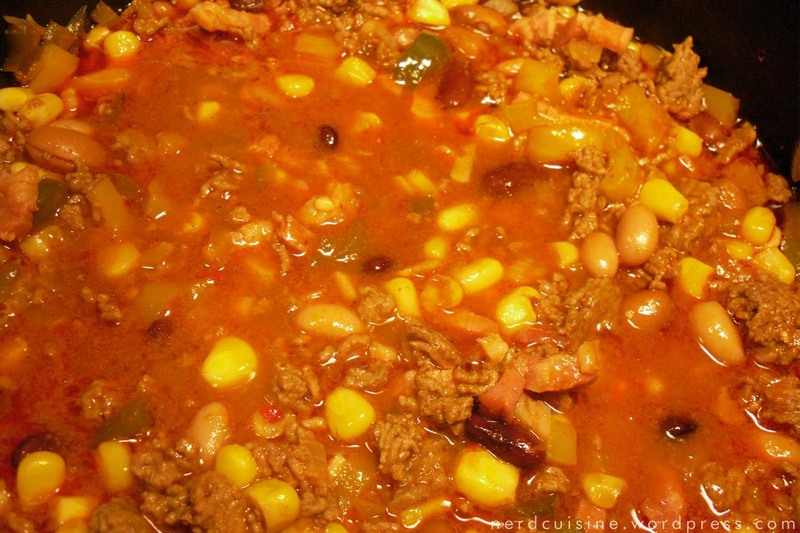 I don’t know if anyone but me puts corn in chili con carne, but I’ve always done that for no other reasons than that it’s an American vegetable and it tastes good. Here it’s been simmering for a hour and a half, which is a bit on the short side, but considering that I’m using ground and not diced meat I saw no reason to keep from eating it any longer. And the potentially abominable, chili-esque gringo food is done and plated. I added a bit of rice to secure more lunchboxes and crème frâiche and corn chips for awesomeness. I used to consider my diet pretty well rounded, but looking through the blog leaves room for doubt. 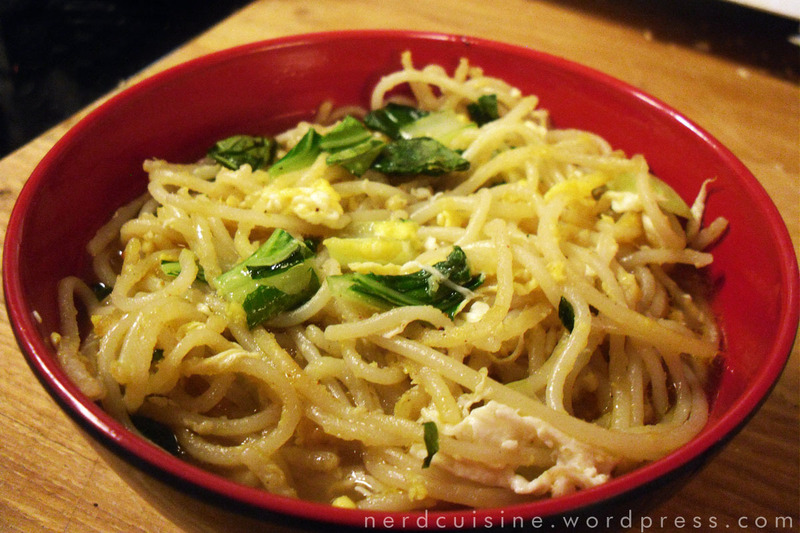 To underline that, here’s another dish with noodles (at least rice noodles, not instant ramen) but no bacon whatsoever. It’s a fairly quick dish, for those who, like me spend a lot of time sitting around the house, carefully avoiding school assignments. Let us begin. 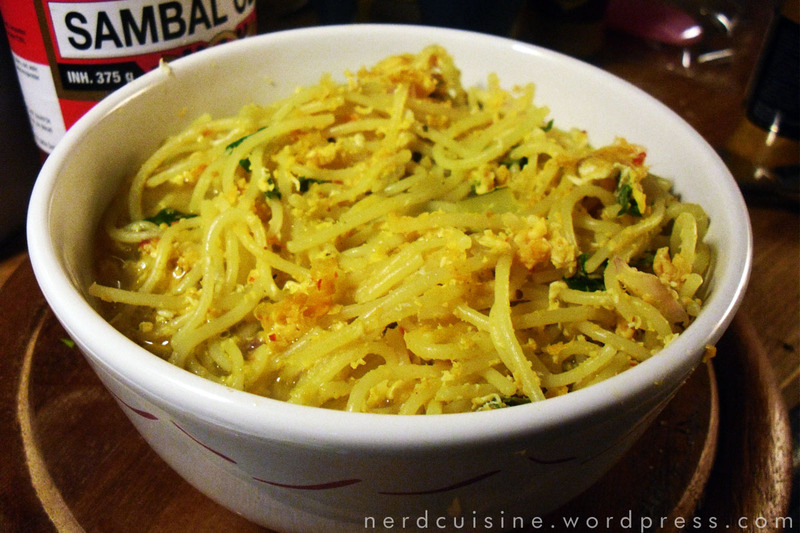 The first few times I cooked with these rice noodles, I thought they didn’t absorb flavors very well and refused to get past the al dente stage. Here they are being boiled with a veg stock/bouillon cube and onion and garlic powders. 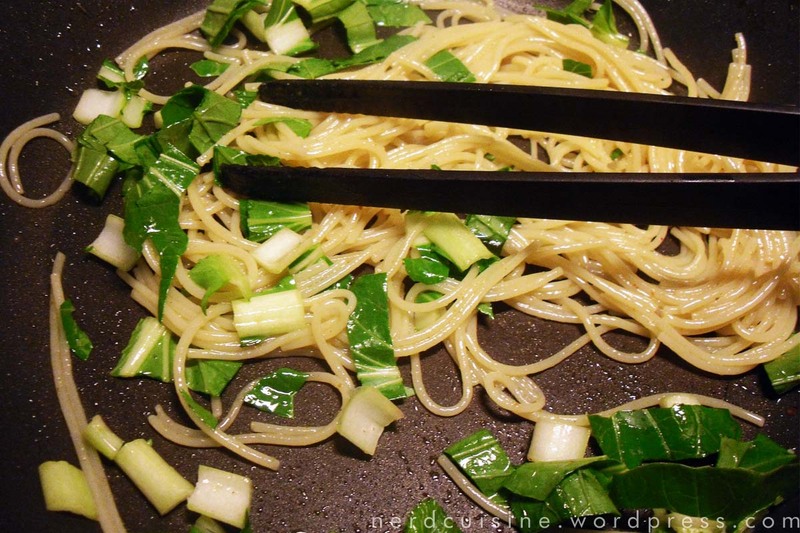 Next we chuck some chopped pak choi in a pan and let the noodles follow shortly. 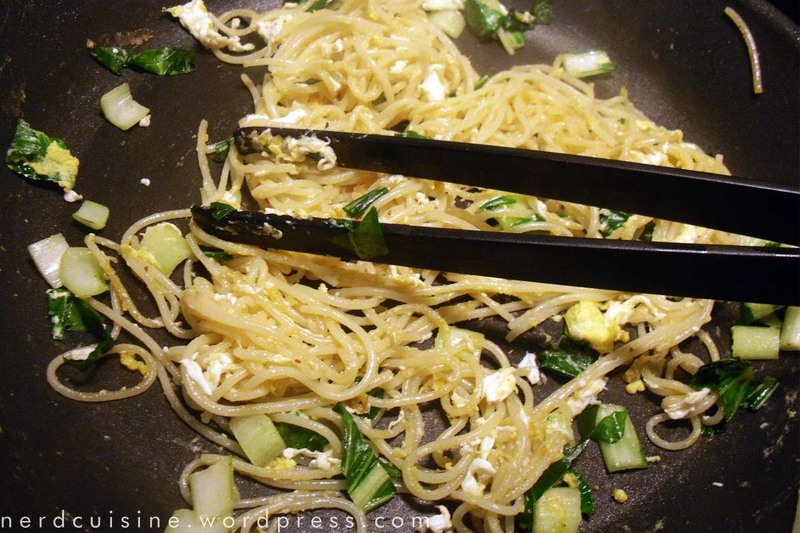 This is what softens the noodles the way I want them, as opposed to boiling them for longer than recommended. Add an egg or two, stirring with various degrees of fury, depending on the quality of the non-stick coating, until you think it’s done. Also, adjust seasoning of course. Put in bowl and fill up with the broth the noodles were cooked in and which you were supposed to save. Fried egg in a soupy environment is intuitively wrong, at least to me, but it works. I made almost the same dish the next day, but used fish stock cube instead and added curry powder to the broth and sambal oelek to the pan upon frying.